Provide Instant Style To A Traditional Home With This Beautiful 3 Light Feature In Antique Brass. The Directional Donut Shaped Lights Are Attached To A Round Plate That Will Attach To Your Ceiling. 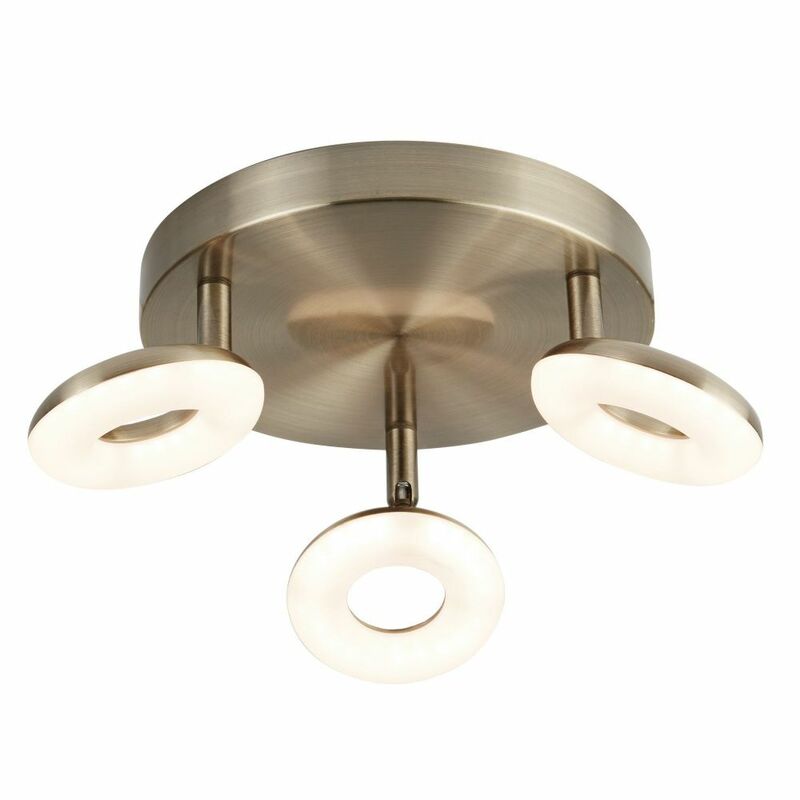 Antique Brass Provides A Classic Look Which Is Modernised With The Donut Spot Lights. Leds Use Up To 85% Less Energy And Last Up To 20 Times Longer Than Incandescent Bulbs.